Last weekend, among the bigger projects we tackled included prepping and planting our fall garden. We'd been putting off the major weeding overhaul from the summer garden which has made us late in planting some fall varieties, right on time with others, and a tad early on the garlic - yes, we are trying garlic this year! According to our 2011 Farmers' Almanac, this past weekend provided two excellent days for planting, so we didn't want to waste anymore time. We set out by hauling the yard bin down to where the remnants of our summer garden have been hanging on. 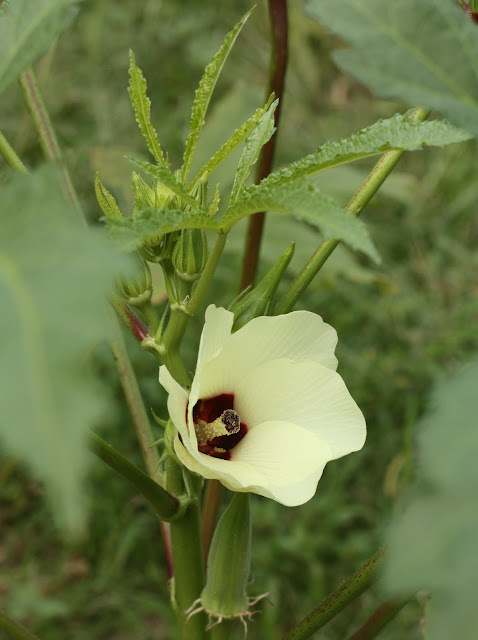 Because we've somewhat surprisingly still got tomato, okra, and pepper plants producing a substantial enough crop, we left them be during the weed-out and prep for fall planting. During day 1 of prep, we were able to weed out the entire garden which had become overrun with crab grass since we decided to go organic and didn't go with raised beds a year ago when we put the garden in (something we may take on in the future). We're considering adding organic material surrounding the plants to help insulate the ground and keep weeds at bay moving forward — any and all suggestions are welcome! By the end of the day, we were really proud of the prepping progress, a little sore, and excited to get planting the next day. During day 2, we brought out our organic seeds from the spring planting and picked which fall varieties we wanted to give a go: carrots, beets, Swiss chard, arugula, and green onions. We'd picked up some starter plants from our local greenhouse in the following above ground varieties: broccoli, cauliflower, romaine lettuce, red & green cabbage, and curly kale. We got everything in the ground and Mary managed to fall flat on her face only once in the mud; this was her definition of quitting time while I finished up the rest of the plantings. 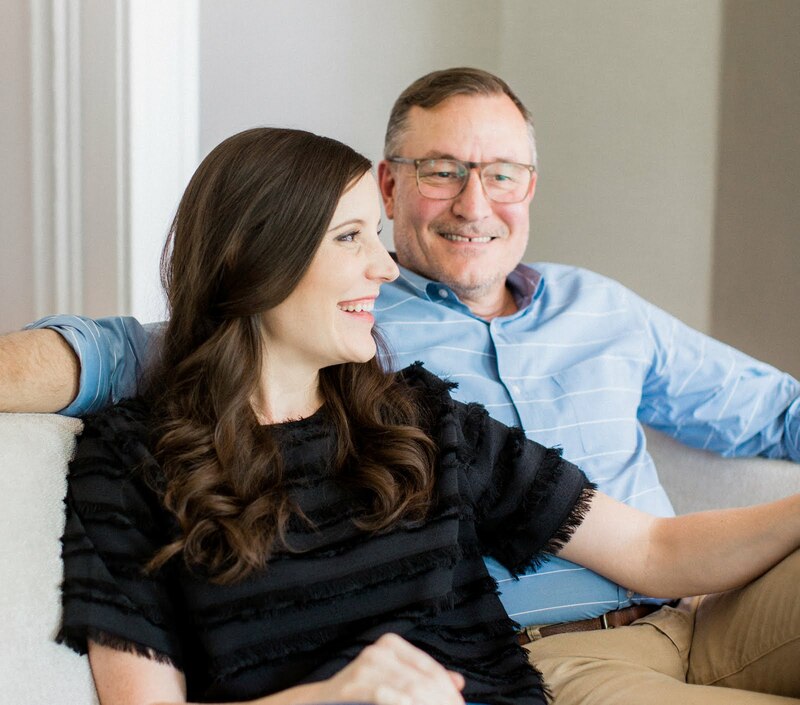 I had just finished soaking the ground to make it easier to work in too...we're still laughing about that one. We've never tried planting garlic before, but after watching a few video tutorials (thanks YouTube) we felt confident enough to tackle it. 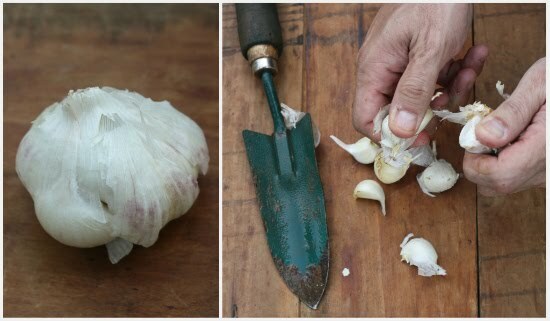 Did you know each clove of garlic within a bulb is actually a starter bulb? Basically, we learned each clove will produce 1 bulb of garlic and will grow from the ground up similar to the way onions would. 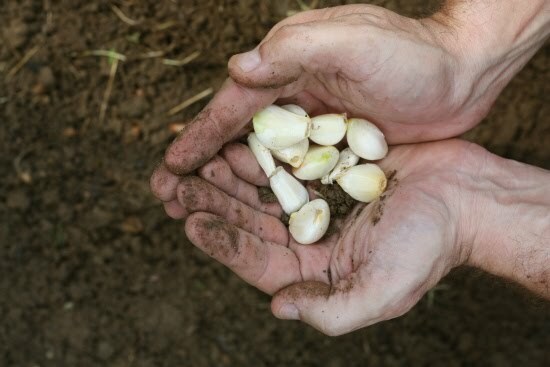 Of note, the majority of tutorials we found recommended planting garlic on or as close to the autumn equinox as possible, which for us would be September 23rd, so you could say we're a tad early on these. 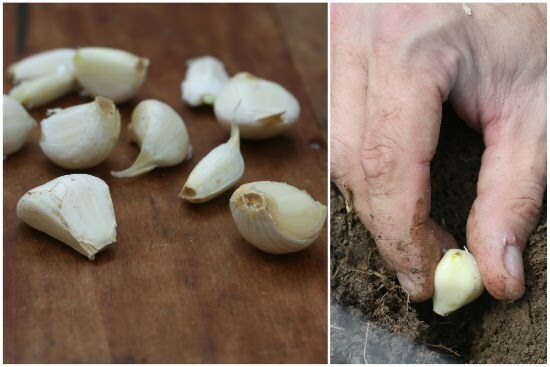 We cracked into one of our own organic garlic bulbs, peeled back a few layers on each clove and planted them base side down (pointed side up) about 2 inches beneath the soil. That's pretty much it - we couldn't beleive how simple this was! It looks like they will also take well to container planting if you want to give it a go on your own but don't have a yard or garden. All in all, we're stoked about getting the fall garden in. While we know we're taking a risk with the timing on some of the varieties, we're crossing our fingers and hoping for the best. All of the plants and seeds had about 2 full days of sun before the latest bout of rain storms has hit Richmond. I'm hoping the heavy constant rains haven't caused too much damage or standing water in the garden, but I guess that's all part of the game. 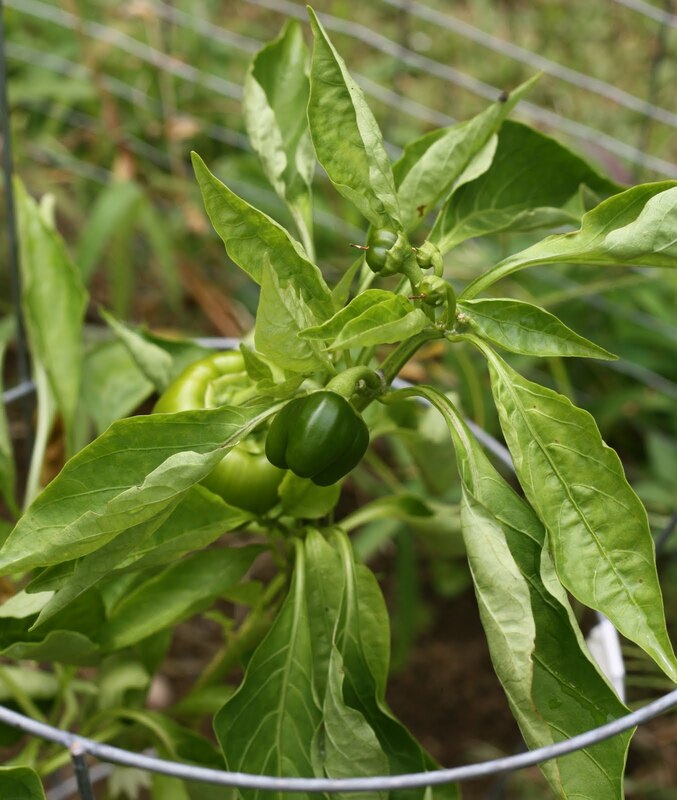 We'll look forward to posting updates on our fall garden progress (or failure) as we go. What vegetables are you most excited about coming back in season this autumn? P.S. There's still time to enter our Blanchard's coffee giveaway ending tomorrow at midnight! So how did the garlic fair? The garlic is coming along nicely! It must stay in the ground through the winter (something we didn't know) but is doing better than we expected so far! I'm not really sure what you do for your weeds, but I have an organic garden as well. I found my lawn mower bag to be very helpful. As I mow and the bag gets full I just empty it in the garden and spread it around the plants. You want the layer to be thick enough to block out the weed growth, but you don't want to let the layer get too thick or it will mold and you have to remove it before it threatens your plants.